Kirstie Close-Barry recently attended the 2015 Waigani seminar in Port Moresby where many speakers reflected on the independence era and efforts to unify Papua New Guinea. Forty years on, the challenges that Somare and his government faced to bring unity to Papua New Guinea continue. 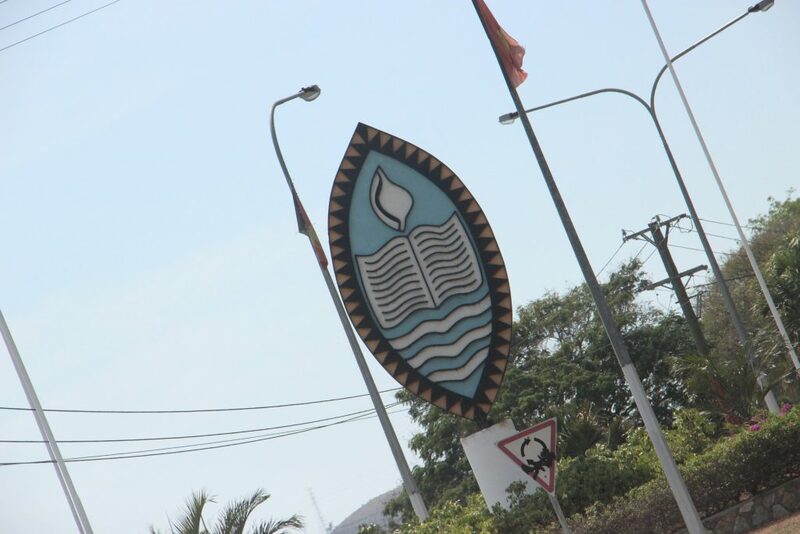 In a year that marks the University of Papua New Guinea’s 50th birthday, the Waigani seminar – now revived after a few years’ hiatus – was held on campus from 19 to 21 August. Drawing academics and representatives of the PNG government together, this seminar continues to provide an important space for dialogue, as it has since 1967. A few foreigners attended, myself included, but this was on the whole an event run by and for PNG nationals. Yet for outsiders, the seminar provides an important if not crucial vantage point from which to gain insight into the current state of PNG politics and scholarship. 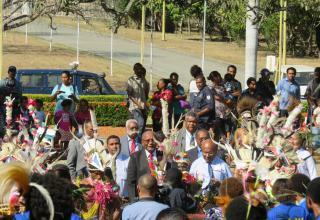 PNG is still reconciling issues that emerged from its distinctive colonial past. Many of the papers reflected on the 1970s, the time immediately after PNG’s independence from Australian rule. Much was said on the topic of decentralisation and five year plans, which was the governance model that Grand Chief Sir Michael Somare brought in with the PANGU pati in the late 1970s. In fact, Somare was given centre stage, and his speech only accentuated the efforts of other keynotes to draw inspiration from PNG’s independence era. 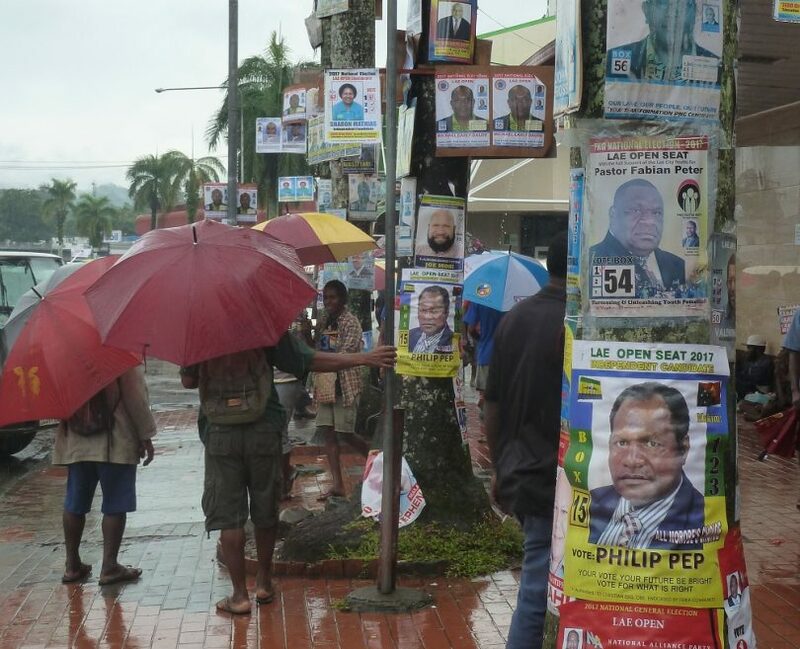 With the 40th anniversary of independence looming, and many celebrations planned, it is remarkable to see how Somare’s influence continues to linger over the PNG leadership. Sir Michael Somare delivering the keynote address at the 2015 Waigani seminar (Photo supplied: Kirstie Close-Barry). One of the key themes of the presentations was the issue of unity, and the perceived need to continue pushing forward with efforts to unify PNG. This idea was discussed in multiple ways. 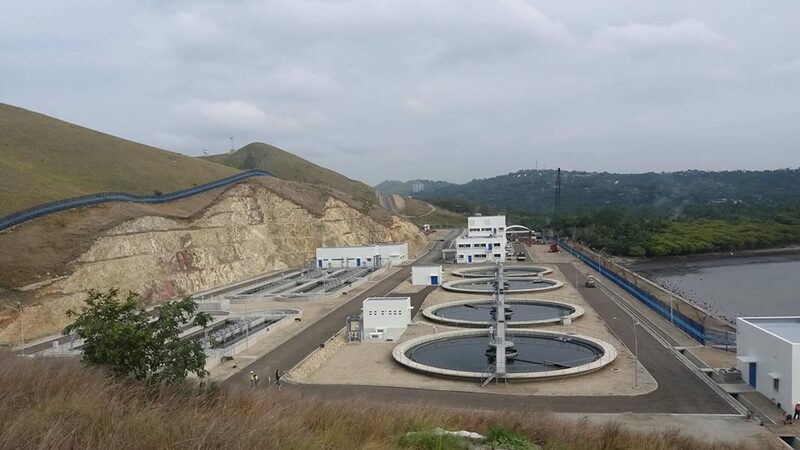 On the government level, MP Charles Abel emphasised the need for state structures to align under the common purpose of the National Strategy for Responsible Sustainable Development for Papua New Guinea (StaRs) program. Most importantly, each department and level of Government needed to correspond and dialogue with those government departments that it was responsible to and for. Another notable discussion focused on unity concerned aligning state systems to PNG’s many diverse cultures. Grand Chief Deputy Prime Minister Leo Dion discussed this, suggesting that the PNG nation state had been modelled on a ‘crude form of culture that has been reshaped over time to be cohesive at a national level,’ and that changes to PNG cultures since 1975 had left the government structures somewhat out of date. Christianity is considered a central tenet that could unite PNG, and there was repeated reference to PNG as a Christian state. 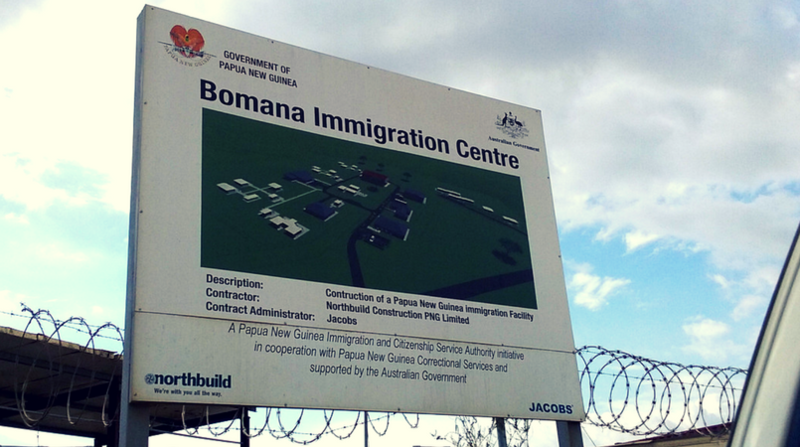 A legacy of colonialism, Christianity has been embraced in PNG and now has a life of its own. Many of the speakers used Christian rhetoric or symbolism to convey their political message. While the politicians reflected on state-craft and called for good governance, other speakers from universities and freelancers such as Martyn Namorong considered the current state of PNG society in the hope that their comments would reach the ears of the politicians present. It was a chance for speakers to voice their concerns to inspire stronger governance in order to tackle PNG’s wider social challenges. From biosecurity experts, to specialists in leadership training, to advocates for women’s rights, the Waigani seminar was a forum for over 100 diverse papers. Classes at UPNG had been cancelled, due both to space constraints and to encourage students to attend and listen to papers. As a result there was a strong student presence throughout. After giving my own paper, one of the audience members approached me and asked not about the historical debate I had engaged in but rather how the relationship between PNG and Australia might be improved. My suggestion was that actually, it’s Australians who need to change in order to improve the relationship. Greater education about PNG is necessary along with more people-to-people engagement. There is certainly scope for greater Australian scholarly engagement in PNG and attendance at the Waigani seminar is well worth adding to your calendar if you want to know more about PNG’s past, present and future. 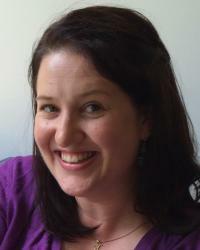 Dr Kirstie Close-Barry completed a Master of Arts at the University of Melbourne in 2009, and graduated with a PhD in history at Deakin University in 2014. She has taught tertiary-level Australian and Pacific histories since 2008, and will be teaching at the Pacific Adventist University and Deakin University this year. Her research continues on Australian, Fijian and Papua New Guinean colonial histories.